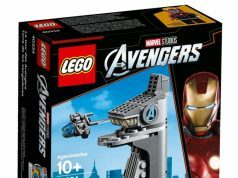 It’s a new day and Just2Good is back with new images of the 2015 LEGO DC Comics Super Heroes sets. 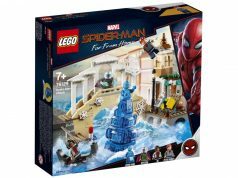 I know that many of you guys have been waiting for this and now we get to see the official images of the sets. 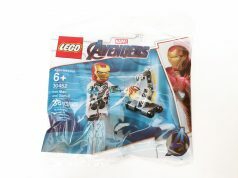 Unfortunately, he does not have images of the Brainiac Attack (76040) set at this time. We’ll update this post as soon as they are avaialble. Stay tuned later today as J2G will be revealing images of either the LEGO Ninjago or LEGO Speed Champions sets. We already seen this set at San Diego Comic Con 2014. The minifigures included are Sinestro, Green Lantern, and Space Batman. In this set, we have some sort of Bat-Mech build and the Invisible Plane. There is also a little truck which looks like a Little Tikes Cozy Coupe. The minifigures that are included are Gorilla Grood (BigFig), Captain Cold, Truck Driver, Wonder Woman, The Flash, and Batman. For this set, there’s a sub that Batman rides while Black Manta has his manta-shaped sub. There’s also a small structure that Robin hangs to. Minifigures included are Black Manta, Aquaman, Scuba Robin, and Batman. This set includes the Javelin while Darkseid rides some sort of hover vehicle. The minifigures that are in this set are Darkseid (BigFig), Green Arrow, Hawkman, Cyborg, and Superman. This set contains four minifigures: Brainiac, Martian Manhunter, Superman, and Supergirl.